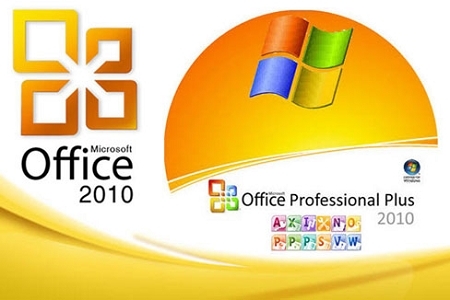 Microsoft Office 2010 Professional Plus Full Retail Version Microsoft Office Professional Plus 2010 Full Download Only *This product is a download only, NO product will be shipped. After purchasing, you will receive an activation code within 24-48 hours during business days. Download the software using the link below. * Power your business with Microsoft Office Professional Plus 2010, a comprehensive software and support package to help you run and grow your business. It’s all here: powerful e-mail and scheduling tools in Outlook, sophisticated information and data management with Excel and Access, and professional-caliber marketing tools in Publisher. And it comes with one year of technical support, ready to use when you need it. Manage business and personal finances efficiently Use built-in templates in Excel 2010 to help you construct a budget and track expenses right away. Gain insight from your data quickly with Sparklines, Slicers, and other powerful analysis tools. Illustrate your information with dynamic 3-D charts and graphs you can create in just a few clicks. Organize almost any project in one simple place Make OneNote 2010 a convenient spot to organize your important resources, from meeting notes and customer information to home remodeling plans. Create a OneNote notebook to collect a full spectrum of materials and media: documents, text, videos, audio, Web page clippings, and more. Find exactly what you need with simple tagging and search functions. Boost the efficiency of your Internet research with Quick Filing. Save information from the Web and other resources to your notebook with just a click. Create dynamic presentations that resonate Transform your ideas into memorable presentations in PowerPoint 2010 using a range of media, from high-quality video to audio and photos. Take full creative control with easy-to-use photo- and video-editing features and dramatic visual effects. Easily broadcast your presentation to customers across town — or across the globe. Express your ideas with speed and originality Get your creative juices flowing on everything from business reports to family newsletters with ready-to-use templates in Word 2010. Add visual interest to your text with dramatic effects such as shadow, reflection, and 3-D. Choose from an impressive array of customizable SmartArt® graphics that help you highlight important messages in just a few clicks. Stay in sync with your customers and calendar Use the e-mail, calendar, and task list tools in Outlook 2010 to stay connected to your people and projects more efficiently. Manage e-mail from multiple accounts all in one inbox, so you never miss a message. Add appointments to everyone’s calendar with a click using the Group Scheduling function. E-mail your team and customers even when you’re away using Outlook Mobile 2010 on your smartphone. Create professional-looking marketing materials Create your own communications, using the powerful design tools in Publisher 2010, to do everything from marketing your business to planning an event. Work from a vast library of customizable templates to create postcards, brochures, e-mails, and more. Use photo-editing tools and Live Preview to try out different artistic effects. Give your marketing a professional look, without hiring a professional designer, by using advanced typography tools and ready-to-use design themes. Build your own database instantly Make the most of your business and customer data with professional-caliber database tools in Access 2010. Start fast with prebuilt templates you can customize. Gain insight from your data more quickly using Conditional Formatting tools that use color and formatting to highlight what’s important.